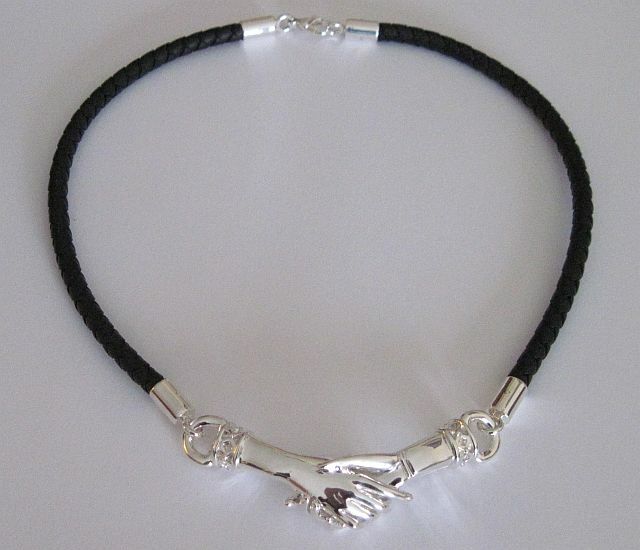 Hope Hand Necklace 18" long black band. 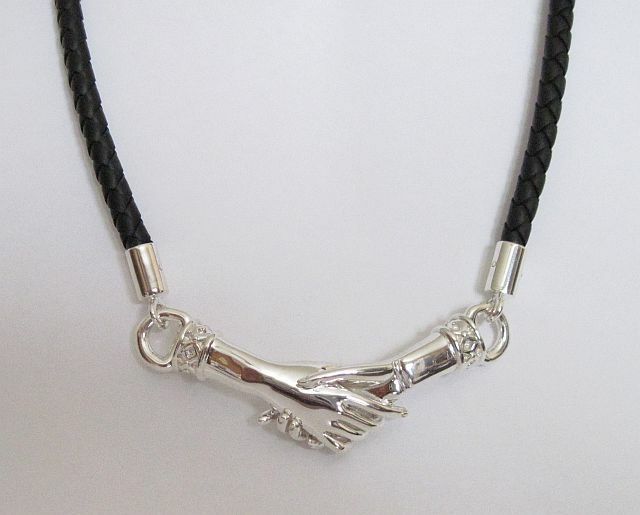 Hands and clasp are bronze/silver. #791050.